Review: This was a completely unplanned purchase at the airport. 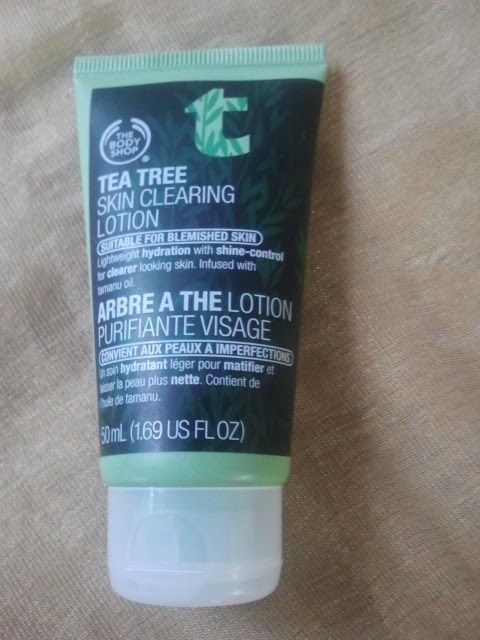 I was looking at the Mattifying lotion from the seaweed range for combination skin but the sales associate told me this lotion from the Tea Tree range would help with dual action:-mattifying lotion and treating blemished skin so hell yes I did want to get more out of my money. All you need is a pea size amount of the lotion for your face and neck. I do massage it well into the skin especially around my mouth area. There is a bit of a tingling as well as heated feeling while massaging. I apply this as the first thing on my clean skin before applying my makeup and it makes a huge difference as the foundation sets in better and lasts longer. Note: You can apply your sunscreen over this followed by your primer and then the foundation. 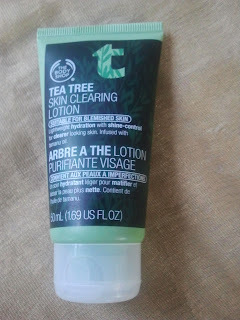 Verdict: For those with oily skin like mine this might need to be added to our essentials especially if you wear makeup.